Mining in Antioquia. Photo by Policía Nacional de los colombianos, Flickr. GoldMining (TSX-V: GOLD; OTCQX: GLDLF) recently announced the acquisition of all outstanding common shares of Bellhaven (TSX-V: BHV) and its La Mina Gold Project in Colombia, which includes the 1,794 Ha La Mina concession and the contiguous La Garrucha concession. Antioquia department. The project is comprised of two concessions that cover an area of 32 km2 and, according to GoldMining’s management, it is one of the highest grade gold porphyry projects in the Americas. It hosts the Middle Zone and La Cantera deposits and several prospects including the aforementioned La Garrucha, El Limón, El Oso, Media Luna and Buenavista. Bellhaven published a pit-constrained resource at a 0.25 g/t gold cut-off for the Middle Zone and La Cantera deposits in October 2016 totaling 1.01 million ounces gold equivalent grading 1.12 g/t gold equivalent in the indicated category and 0.43 million ounces gold equivalent grading 1.07 g/t gold equivalent in the inferred category. 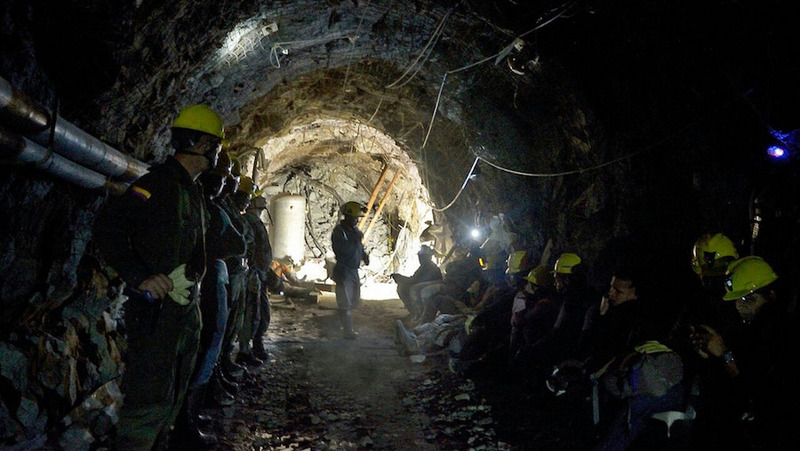 A Preliminary Economic Assessment on the project conducted in 2013 also concluded that La Mina could be one of the lower cost gold development projects in the region, with costs estimated to total US$408/oz. (net of byproduct credits). The area where La Mina is located is also known as the Mid-Cauca Belt and it has seen increased activity in recent years with companies like Cordoba Minerals and HPX Exploration (San Matias), Continental Gold (Buritica), IAMGOLD and Gran Colombia (Zancudo), and AngloGold Ashanti and B2Gold (Nuevo Chaquiro) setting up shop there. Once the arrangement between GoldMining and Bellhaven is completed in May, Bellhaven shareholders will receive 0.25 GoldMining shares for each Bellhaven share held, and overall the transaction represents approximately 6% dilution to GoldMining shareholders for a transaction value of $13.5 million based on GoldMiningꞌs share price as of the close on April 11, 2017.